Honorary membership may be granted to any distinguished person upon majority vote of the Executive Committee at any regular meeting thereof. Honorary members shall have the same rights and privileges as graduate and associate members, except that they shall not have the right to vote or hold office. January 1959 saw the organization of the South Western Joint Junior-Senior High School Band Booster Club. It was at this time that Addison Baile was named as the president of the Band Boosters and Mildred Baile was named as Financial Secretary. Serving as officers of the newly formed organization, the Bailes organized fundraisers, collected donations, and worked with local businesses and school board members to purchase South Western's first band uniforms in 1960. The couple also chaperoned the band's earliest trips including the band's first trip to march on the boardwalk in Atlantic City. All three of the couple's children are graduates of South Western High School and were members of the marching band. 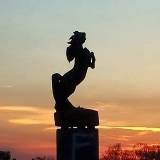 After completing his Bachelor of Science in Education from Millersville University, Mr. William Bankert began his teaching career at South Western Junior-Senior High School when the school opened in the fall of 1959. He taught woodworking and industrial arts, a program that advanced into technology education. In addition to his teaching duties, Bill introduced the wrestling club in 1959 and coached through the end of the 1972 season. Mr. Bankert also coached the 9th grade football team and started the Bible Club in 1975 which he was involved in until his retirement. After 40 years of teaching in the South Western School District, Mr. Bankert retired after the completion of the 1999 school year. After his retirement, Bill continued his involvement with the South Western School District serving as a volunteer at Park Hills Elementary from 1999 to 2013. Joseph Bierly is the first teacher to be named an honorary member of the alumni association. Bierly graduated from Gettysburg College in 1957 before entering the U.S. Army for two years. He started teaching at the South Western Junion-Senior High School when it first opened in 1959. He taught physical education and was the boy's basketball coach. Bierly taught 33 years in the South Western School District. He retired in 1992..
Leo was born and raised in Pottstown, PA and was the oldest of seven children. He graduated from Pottstown High School in 1955 and from Millersville University in 1959. Leo began his teaching career at South Western High School when the doors opened in the fall of 1959. He taught metal shop and mechanical drawing. Leo married Ruth Doutrich, the librarian at South Western High School in June 1960. The couple had to children, Leo III and Duane, both graduates of South Western High School. In addition to his teaching duties, Leo served as head track and field coach for 23 years. He guided the 1963 mile relay team to the first state championship at South Western High School. Leo also served as Varsity Club advisor, Faculty Manage of Athletics, and JV basketball coach. Leo died on September 11, 1983 at the age of 46 after spending his entire career at South Western. The South Western School District honored Leo by naming the track for him on May 11, 1985. A plaque was placed at the entrance to the track to commemorate the occasion. 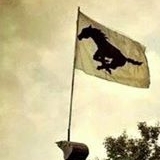 Leo was truly "Always A Mustang." Emory H. Markle served as an administrator in 13 different school buildings from 1953 through 1974. He was the district's first school superintendent when the South Western High School first opened its doors in 1959. He remained as superintendent until his retirement in 1974. John Quashnoc was born and raised in the town of Nesquehoning in the coal region of northeastern Pennsylvania. He graduated from Marian High School in 1966 and from Mansfield State College in 1970. He began his teaching career at Littlestown High School in 1970 where he remained until 1973. From 1973 to 1975, John taught and coached at Hempfield High School in Lancaster County, PA. He earned his Masters of Education degree from Bucknell University in 1976. John joined the teaching and coaching staff at South Western High School in the fall of 1975. From 1975 until 1986, John served as a social studies teacher, social studies department chair, and head football coach. After earning his Education Administration certification from Western Maryland College in 1986, John served for two years as the Assistant Principal and Athletic Director at Bermudian Springs High School. 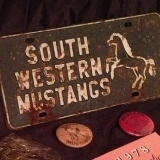 In the fall of 1988, John returned to South Western as Assistant Principal and Athletic Director. He was named South Western High School Principal in 1990. 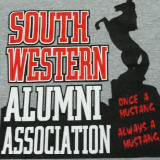 In July of 1993, John and a group of dedicated alumni including Pat Loss, Fred Laurence, and Phil Sterner appeared before the school board to request approval of the formation of the South Western Alumni Association. The first major even sponsored by the new alumni association was the ceremony and celebration for the dedication of the new high school "Field House of Dreams" in November 1994. John continued to serve as principal until his retirement in 2003. Currently, he serves as an Adjunct Professor for the Educational Leadership Graduate Program at McDaniel College. Thomas Schade begain as a teacher for the first 10 years of his educational career. He later became a high school administrator after often helping with organizational problems and realizing he could contribute to students, teachers, and faculty. 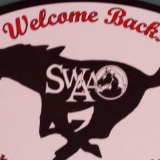 Schade started with the South Western School District in September 1958, one year befoe the school opened. As high school principal, he and then superintendent Emory H Markle spent 1958 preparing for the opening of the new junior-senior high school grades 7 through 12. He served as high school principal for 10 years. He retired in June 1981 with the title of supervisor of curriculum and instruction, kindergarten through 12th grade. At the time of his election as an honorary member of the Alumni Association, he was recognized as a strong advocate for and supporter of South Western School District. He served 18 years on the school board, 6 as president during the critical period where building expansion began and the possibility of a merger with the Hanover School District was being discussed. 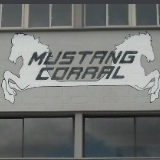 He is an avid fan of Mustang sports. If you know someone who should be considered for Honorary Alumni status, tell us why!